Nosh has just opened a new Melbourne Central Venue! 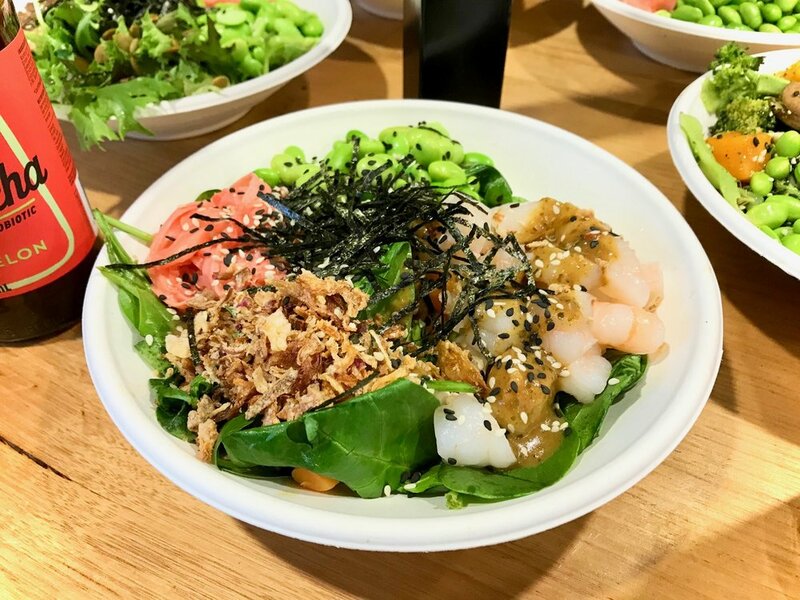 An exciting joint with two other locations in Melbourne's CBD, Nosh serves wonderfully fresh poké (pronounced PO-KAY), a Hawaiian rice bowl served with raw fish, veggies and tossed with soy sauce-based dressing. We loved devouring our various bowls which we created using the create-your-bowl option. 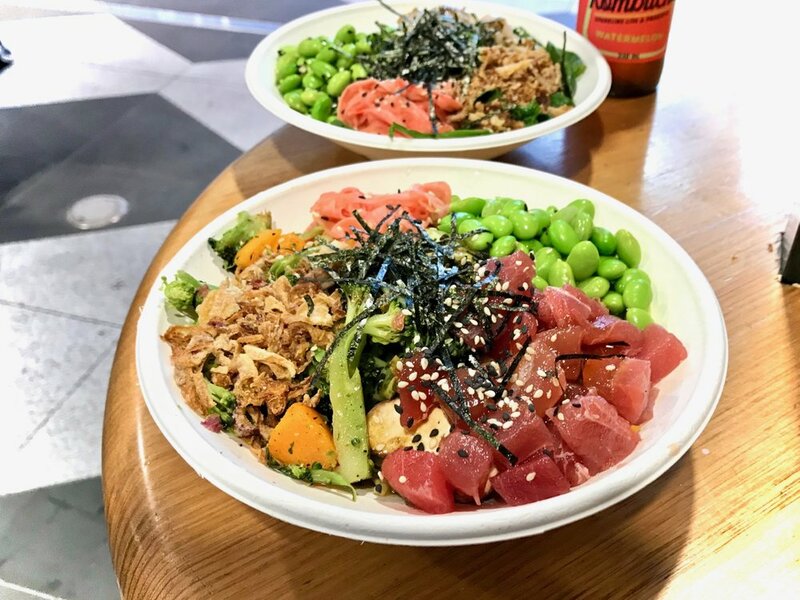 The sashimi salmon poke bowl was wonderfully fresh and features slippery melt in your mouth sashimi tuna, creamy roasted sesame and our a delicious mix of charred broccoli, shiitake and miso roasted pumpkin all atop a brown rice base. The Tempeh Teri-san on the other hand may be vegetarian but we think it would satisfy any carnivore just the same. We loved the umami laden teriyaki glaze used and the deliciously plump Tempeh. Perfect for the health-conscious and discerning, the bowls certainly pack in flavour alongside lean protein and a whole lot of greenery.